Do you know how to tell a copper penny from a zinc penny? #1 – Check the date on the penny. Pennies dated before 1982 were made of copper (technically, 95% copper and 5% zinc). Pennies dated after 1982 were made of zinc (technically, 97.5% zinc and 2.5% copper). 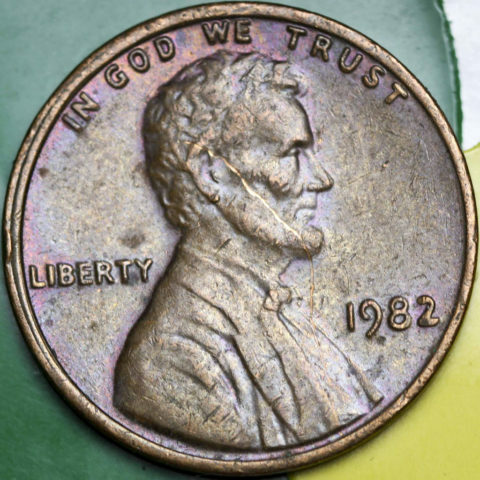 But 1982 pennies are unique — because both copper and zinc pennies were made that year! So you’ll have to use one or more of the following 3 techniques to see if your 1982 penny is made of copper or zinc. #2 – Weigh the penny. A copper penny weighs 3.11 grams. A zinc penny weighs 2.5 grams. #3 – Look at the color of the penny. A worn copper penny usually has a chocolate brown appearance or a deep warm, orange hue. A zinc penny typically has more uneven toning — which can often make the surface look somewhat spotted. #4 – Listen to the sound it makes when you drop it. So there you go!… Now you know how to tell a copper penny from a zinc penny yourself!